The Charging and Testing Unit (FPU) is a testing and maintenance instrument for hydraulic accumulators. 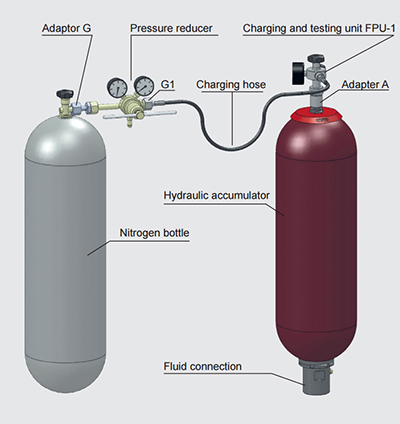 They are used to charge and test the pre-charge pressure in the accumulator or change an existing pre-charge pressure. It has a screw-type fitting with a built-in gauge, a check valve and a spindle for opening the accumulator gas valve, making it possible to control the pressure. The FPU is designed to connect directly to HYDAC piston and diaphragm accumulators, however, elements like bladder accumulators require the A3 adapter supplied. In addition to adapters and connectors for nitrogen bottles from different countries, our range of accessories include a carry case for storing the FPU and all the spare parts. The new larger case protects the contents, which can vary according to customer requirement, from contamination and damage, e.g. cracking of the pressure gauge on the charging unit / pressure reducer. 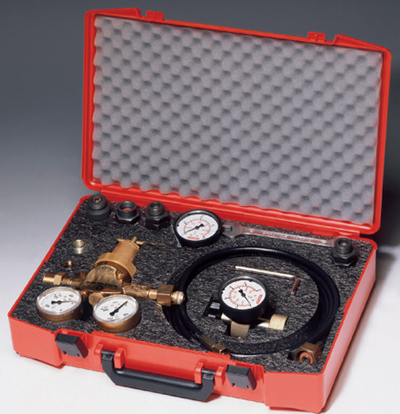 Gauge indication range: up to maximum 400 bar (5800 psi). 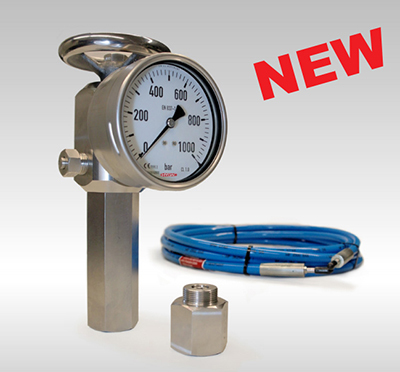 HYDAC has expanded the accessories range to include a high-pressure version of the FPU: the FPU-2 is specifically for high-pressure applications. Applications: general high-pressure applications, e.g. offshore.